While on one of my favorite daily reads My Domaine recently, I found this adventurous kids bedroom haven crafted by New York based interior designer Brad Sherman. 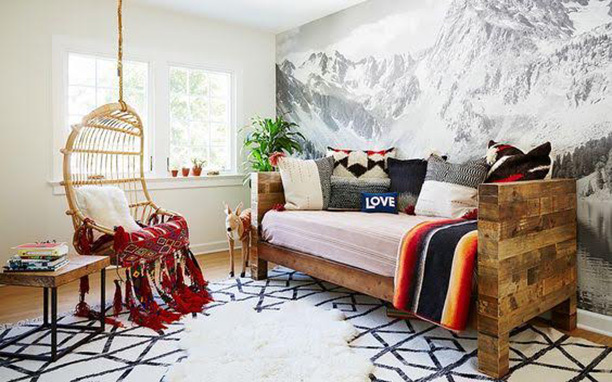 This ode to the mountains was lovingly created with neutral furniture and bold primary colored accents. With a wallpapered mountain statement wall, the nod to mother nature is achieved tastefully. 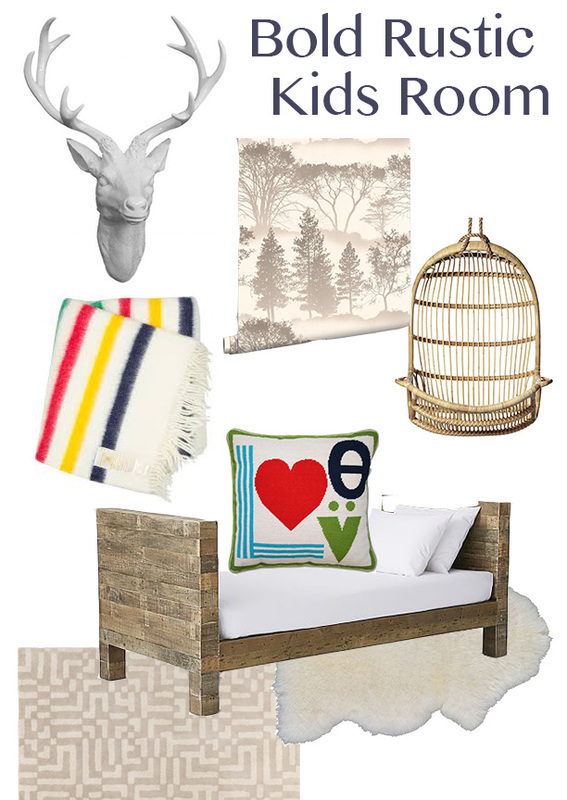 By adding cozy blankets and whimsical throw pillows, a hanging swing and layered rugs, the look is complete.